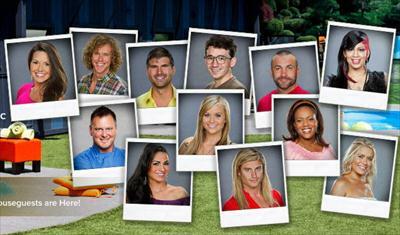 Will Big Brother prove to be a ratings winner for CBS this summer? Time will tell if Julie Chen and the all-star coaches are up to the task. Here are the TV show’s ratings for the Sunday editions of the Summer 2012 season, the best way to tell if Big Brother is going to be cancelled or renewed for season 15. Big Brother typically airs on Wednesday, Thursday, and Sunday nights on the CBS network. Final Sunday season averages: 2.2 rating in the 18-49 demographic with 6.15 million total viewers. 2.4 in the demo (+4% episode-to-episode change) with 7.24 million. Season averages: 2.19 in the demo with 6.15 million. 2.3 in the demo (+21% episode-to-episode change) with 6.90 million. 1.9 in the demo (-27% episode-to-episode change) with 5.65 million. Season averages: 2.15 in the demo with 5.92 million. 2.6 in the demo (+8% episode-to-episode change) with 7.37 million. Season averages: 2.19 in the demo with 5.96 million. 2.4 in the demo (+20% episode-to-episode change) with 6.57 million. Season averages: 2.12 in the demo with 5.72 million. 2.0 in the demo (-5% episode-to-episode change) with 5.36 million. Season averages: 2.06 in the demo with 5.55 million. 2.1 in the demo (+11% episode-to-episode change) with 5.72 million. Season averages: 2.08 in the demo with 5.60 million. 1.9 in the demo (-5% episode-to-episode change) with 5.11 million. Season averages: 2.07 in the demo with 5.56 million. 2.0 in the demo (-13% episode-to-episode change) with 5.37 million. Season averages: 2.15 in the demo with 5.79 million. 2.3 rating in the 18-49 demographic with 6.21 million total viewers. Season averages: 2.30 in the demo with 6.21 million. CBS’ Big Brother Sunday debut was down year-to-year; down by 8% in the demo (vs. a 2.5 rating) and down by 14% in viewership (vs 7.18 million). What a waste of tv time…these people are idiots and plain boring. Let’s have have some REAL actors act and stop giving these wannabes their 15 minutes. Shame on you Network executives or whever allow this dribble to be on tv. I hate CBS never shows how Dani is really there giving her Jordan edit all sweet and nice. If only enough people would boycott cbs but no wants to. I LOVE BB, but agree that they should stop with bringing in old players. It is not fair and it is just boring. What I would REALLY LOVE to see is Senior BB (50 and up). I just think that could be so interesting. I can hear a lot of you now, but seniors are not as boring or as weak as you may think. Think of the challange possibilities!!!!!! It could be hilarious and it makes sense since BB wants to keep bringing the senior players back. Shouldn’t you include the ratings for the other two days of the week it is on? I mean, that’s why the show only airs in the summer because no other time would exist to air it three days a week. Adam Decker » We report them separately. Wednesdays and Thursdays have their own ratings pages. Don’t like the idea of bring back previous players. This is not fair to the rookies. the old guys had their chance and some won without coaches. If you do this another season, am got of here!! it’s more fun watching someone that had never played the game then watching a lot of old players. The rookies should not have to play against experience players. This is just not right! Originally, the coaches weren’t full fledged players going for the main prize, but now the game has changed and they are. So if you want to complain about people, complain about those who gave those four coaches real players. I thought it was garbage from the gitgo, watched one ep. never watched it again, and don’t plan to. Hope it tanx soon. I believe and think Big Brother SHOULD BE CANCELLED!!!! There’s no plot or reasoning for the show. It’s just going downhill every year. The people act like they have nothing more better to do than be on that stupid show. They may not have a job to come back to when they get off the show. And when the 2012 Olympics come on, then the ratings will really fall. Just wait and see!!!! I will not watch another show. too much background hype music, they have to rely on bringing back previous players with too much show about them. better shows out there. good bye, good riddance.